The event hosted by Sussex Energy Group (SEG) on 7 February 2019 brought together high-level professionals in industry, government and academia to discuss the topic of transformative technologies in energy, buildings and transport. 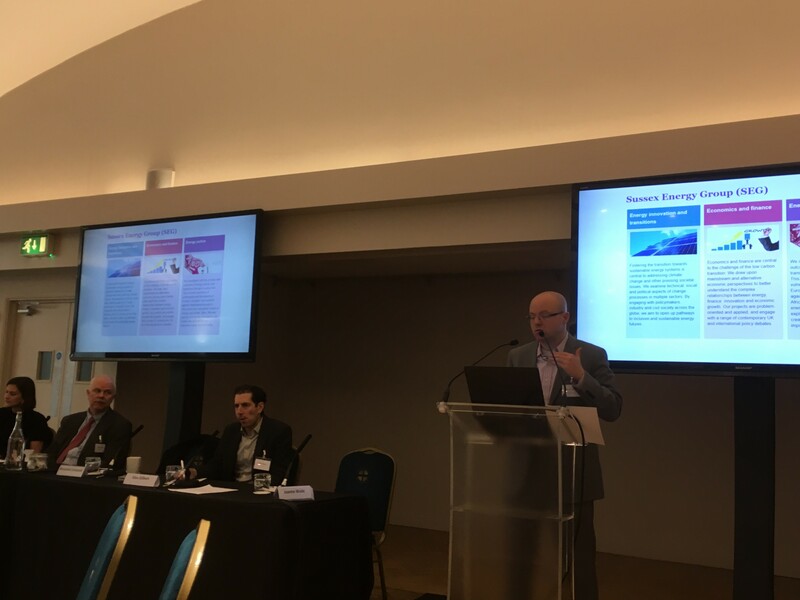 SEG took this opportunity to also present the newly edited book ‘Transitions in Energy Efficiency and Demand’, which brings together five years of research from the Centre on Innovation and Energy Demand (CIED) funded by the RCUK Energy Programme. The event was chaired by Benjamin Sovacool, Director of both SEG and CIED. This blog post provides some of the key messages presented during the day. Despite being challenging, the adoption of demand-side technologies coupled with behaviour change is crucial for achieving the low-carbon energy future that we all desire. Individuals will have to adopt many of these technologies and therefore they must be what people want. Joanne Wade of the Association of Decentralised Energy (ADE) even started her presentation announcing that she is not going to talk about technology, but rather humans as we need to start thinking about the people-side of this transformation. A pivotal question is how can we encourage people to participate in the energy sector and choose low-carbon technologies and services? One way is to deliver better energy services that simultaneously provide superior comfort levels and are low-carbon. In other words, give people the comfort that they wish for through low-carbon technologies. Following a government-backed research trial conducted by Energy Systems Catapult (ESC) that explored how smart home technologies could cut household energy use as well as improve customer services, Bristol Energy has launched a novel business model called heat-as-a-service. Here, households are offered the chance to buy a ‘Heat Plan’ tailored to their individual lifestyle. Those who wish to buy the plan will pay for warm hours per month rather than units of energy. The intention is to provide a better service to households and at the same time incentivise commercial suppliers to heat homes as efficiently as possible using low-carbon technologies. It may seem intriguing, but who knows whether it will work? With the rules of the game changing, it might make it harder for suppliers to profit, which could cause a problem to novel business models. A prerequisite for new initiatives like heat-as-a-service is the collection of data, important to help researchers and service providers understand how the system of people and buildings works to provide better services. Debbie Hopkins, researcher at the Transport Studies Unit at the University of Oxford and editor of the CIED book with Kirsten Jenkins, claimed that currently a lot of research and innovation is based on poorly understood behaviours and practices. Some practices we will be able to change, but it is uncertain if these practices will change in the timeframe necessary. We already have a tremendous amount of data from smart meters, but the question is are we going to use it properly? Are academics and researchers going to get access to it? We also have to be very careful as to how the data is used and how this is presented to the user. Another prerequisite to innovating effectively is funding. Jim Watson, Director of the UK Energy Research Centre, argued that quite a bit of public spending is necessary to scale up and drive down costs at the very early stages of deployment and we need to spend more money on large scale trials. We have seen that spending has driven down the cost of other low-carbon technologies such as offshore wind, solar PV and lithium-ion batteries and we should mimic this for demand-side low-carbon technologies. Will public policy makers be brave enough to spend the money when it comes to these technologies? Head of Energy Social Research at the Department of Business, Energy and Industrial Strategy (BEIS), Jeremy Vincent tried to answer this question stating that between 2015 and 2021 BEIS expects to invest up to £505 million on the Energy Innovation Programme. The aim of this programme is to accelerate the commercialisation of innovative clean energy technologies and processes. From this portfolio they plan to invest £90 million for more cost effective energy efficiency and low-carbon heating. 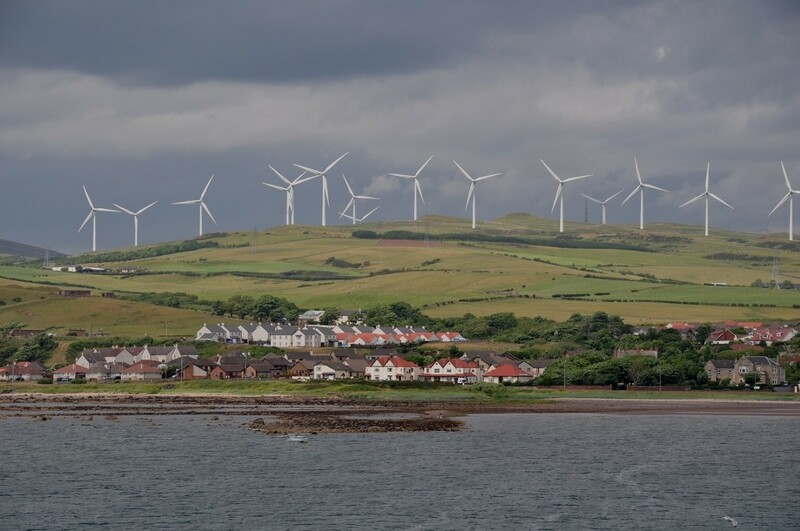 At the same time, they plan to spend £180 million on nuclear, £70 million on smart energy systems and only £15 million on renewables, revealing their agenda for the future UK energy system. The focus has previously been on low-carbon electricity, but the energy sectors are becoming increasingly intersected and strategies are required to decarbonise them all. Alex Gilbert, a representative of Transport for London (TFL), expressed his big vision to make everything that happens in regards to infrastructure at TFL broader than just transport. Infrastructure itself is not too exciting, the integration of energy, buildings and transport as well as innovation is where it becomes a lot more interesting. Policy makers must adopt a systems approach to take us through this transition to a low-carbon energy system in the timeframe necessary. The key takeaway message from the event is that we need to systematically and radically change the way we live in a way that we have not conceived of before. Kirsten Jenkins – formerly University of Sussex and CIED researcher now based at the University of Brighton -advocated that when talking about socio-technical transitions, the “socio” bit is particularly important. It is vital to try to get policy makers on board with the message that we need to get people to live in a different way. But it is hard to have these conversations. Currently exchanges with policy makers focus on technological change rather than the harder conversations about fundamental changes to behaviour, yet it is necessary to start these discussions . 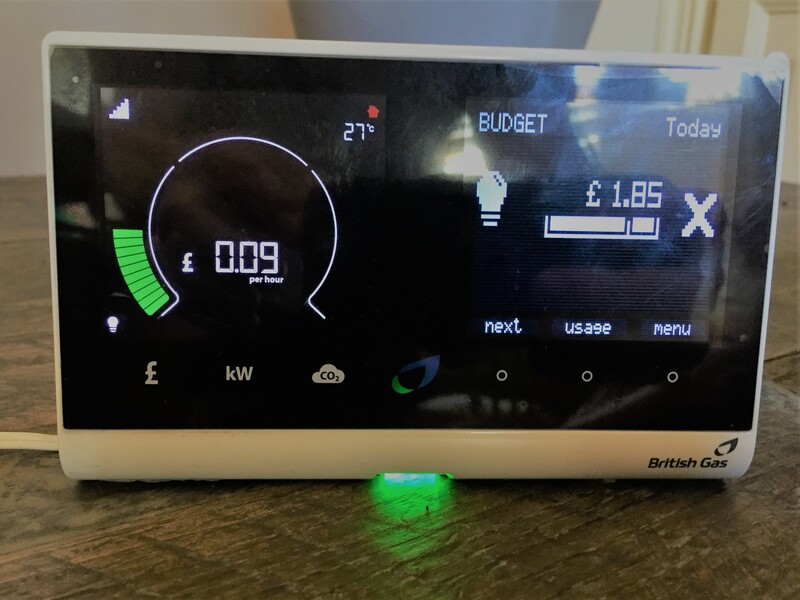 Nora Blascsok reports back from the Centre on Innovation and Energy Demand (CIED) event on ‘The smart meter rollout: progress and challenges ahead‘. This blog was originally published on The Ecologist. Written by Andrea Block, Dr Amber Huff, Dr Judith Verweijen, Professor Jan Selby, Professor David Ockwell, and Professor Peter Newell. 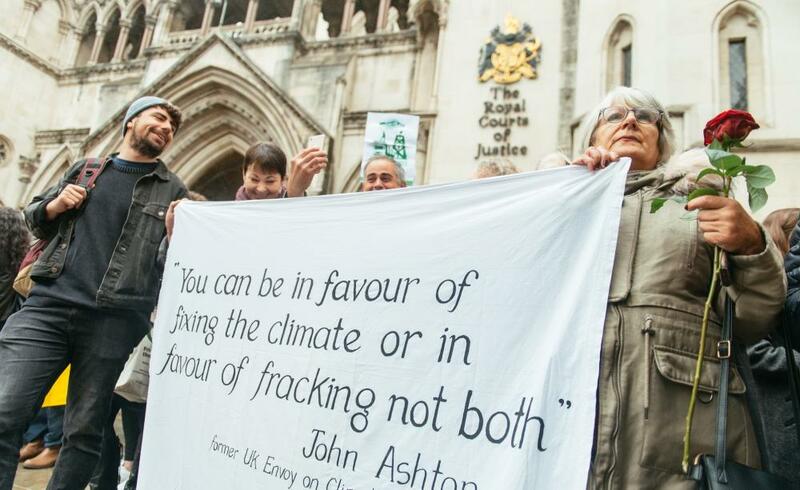 Three anti-fracking protesters – Simon Blevins, Richard Roberts and Richard Loizou – were sentenced to 15 and 16 months in prison for ‘causing a public nuisance’ in late September this year. A fourth protester, Julian Brock, received an 18 months suspended sentence after pleading guilty to the public nuisance charges. 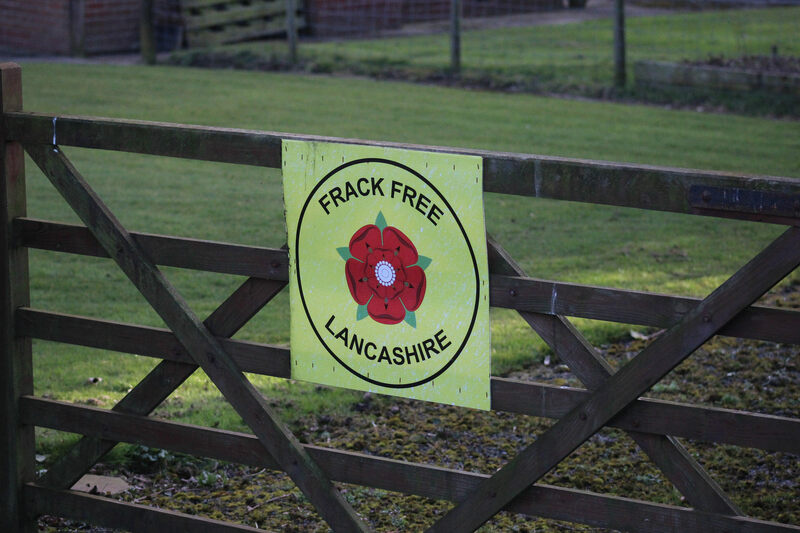 The ‘Frack-Free Four’ had been arrested during a ‘month of protest’ in the summer of 2017 that aimed to disrupt exploratory drilling activities at Cuadrilla’s Preston New Road fracking site in Lancashire. The four climbed onto lorries that were delivering part of a drill rig and remained there for up to four days impeding the vehicles’ movement to the fracking site. This week, which is also the Green Great Britain week, I participated in the Annual Conference of Energy UK held in Westminster, London. I was invited to a panel discussing the “10th Anniversary of the Climate Change Act – celebrating successes and preparing for the future”, alongside Chris Stark, Chief Executive of the Committee on Climate Change, Tony Juniper, Executive Director for Advocacy and Campaigns at WWF UK, Jillian Ambrose, Energy Editor of the Telegraph, and Shirley Rodrigues, the Deputy Mayor of London. The conference was well attended by diverse energy industry actors, and the discussions addressed the future of energy generation, the Electricity Market Reform, the power of data and democracy and the needs of customers. There is also cause for optimism in many areas. The opportunities digital innovation enables for the decentralisation of the power and heat sectors, and the increasingly low cost of wind and solar-powered generation supporting such changes, are good examples. However, these changes also bring forward new questions about how customers can benefit from the ongoing energy transition and about democracy related to data. Both the Big Six and the new entrants have important roles to play in the low carbon energy transition – and at least those at the Energy UK Annual Conference seemed to be largely in consensus on where we are heading.